The director of Naan, Jeeva Shankar is ready to roll with his next film titled Amara Kaaviyam. He is focusing on a school-college based love story this time, with Arya's younger brother Sathya doing the lead role. A newcomer is being scouted for the lead heroine's role. Arya would be producing this movie under his 'The Show People' banner and the movie is based on a true-life incident. 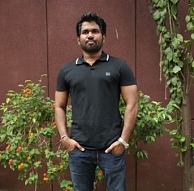 Jeeva Shankar would be handling the cinematography as well while a suitable music composer is yet to be selected. After making quite a lot of heads turn with the racy psychological thriller Naan, which introduced Vijay Anthony as a lead hero, Jeeva Shankar is all geared up for an equally impressive second outing. What will be the fate of Madras Cafe in Tamil? Raja Rani has Atlee riding sky high! Hotshot heroine for Siva Karthikeyan! Will Atlee Get Rajini's Nod? Marriage Made In Heavennu Evan Sonnaan! How Will Arrambam Be Different From Billa ? Could Satyaraj Be Arya’s Brother, When He’s Nayan’s Dad?